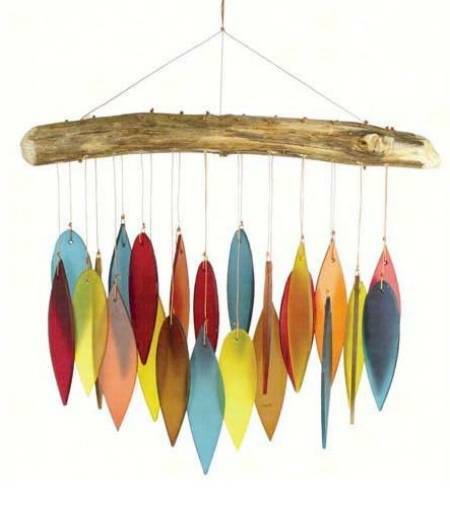 Blue Works Chimes are anything but the same old thing! in the wind or are very effective as wall art. beautiful sand-blasted glass, attached with sturdy nylon thread. the gentle tinkling sound that they create.